From the most detailed material cutting and folding; to the most desirable of illuminated effects, we can draw on an array of skills and experience to combine complimentary or contrasting materials, styles, finishes and lighting, customised for your totem and monolith signs. We also offer a variety of different fixing methods to compliment your fitting requirements including fixing cages and base plates. Our illuminated options not only include fluorescent tubes; we specialise in low profile discreet signs illuminated by means of LED diodes or our LED Light Sheet product. 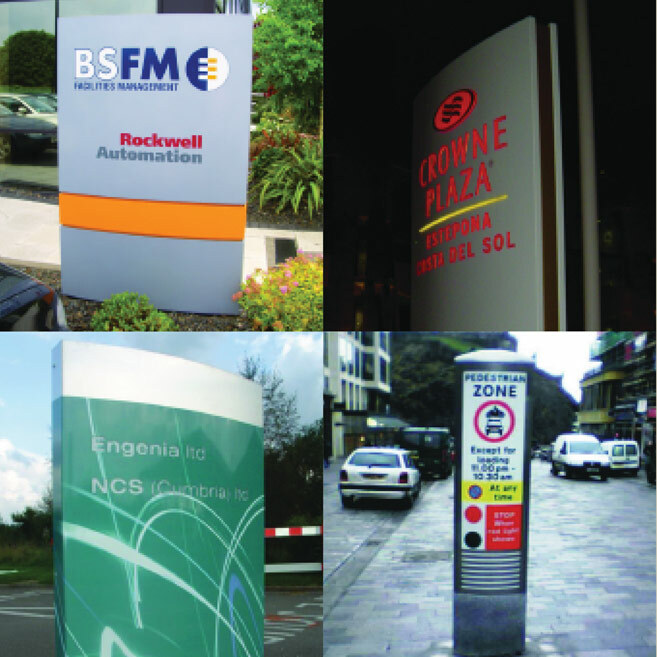 We offer complete extruded totem signs for internal and external use. 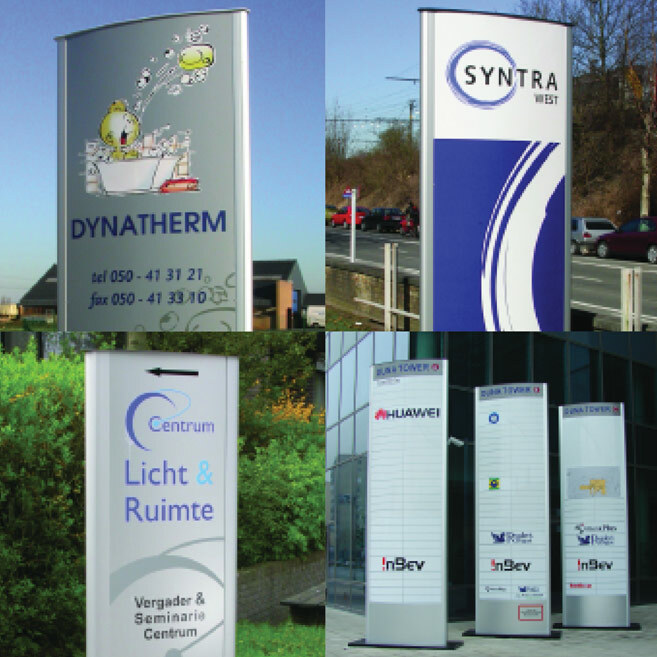 As well as being modular and interchangeable, our extruded totems are extremely robust. The systems consist of a variety of options including a fixed profile, as well as a snap profile. From this we can accommodate all manor of manufacturing designs to the panels; we also offer illumination from either our LED Trough Light product, our LED Light Sheet product for slim line lighting; or solar panels for those remote locations; please ask for details.